A post with links to some excellent articles and first-hand experiences about becoming a ballerina (or ballerino) and the sacrifices a dancer and their family makes during the process. What to expect when a young child begins their first dance class, how to calm their worries, and encourage their independence. Gift-buying strategies for that special dance teacher. A favorite collection of posts here at Dance Advantage that offer things to think about when choosing a dance school and also how to decide if a school is right for you and your dancer. Similar themes for these two articles. One is written by Guest Poster and dance mom, Mariangela. The other is my take on the subject. Encouraging self-confidence – an article for parents and teachers, this offers examples of ways to praise your dancer. When Should My Child See a Doctor for Injuries? Some guidelines for concerned parents or those who’d like to be prepared when injuries occur. 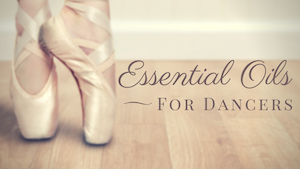 This free e-book by Lisa Howell is still available and highly recommended for parents of dancers (particularly those in ballet and/or pointe).